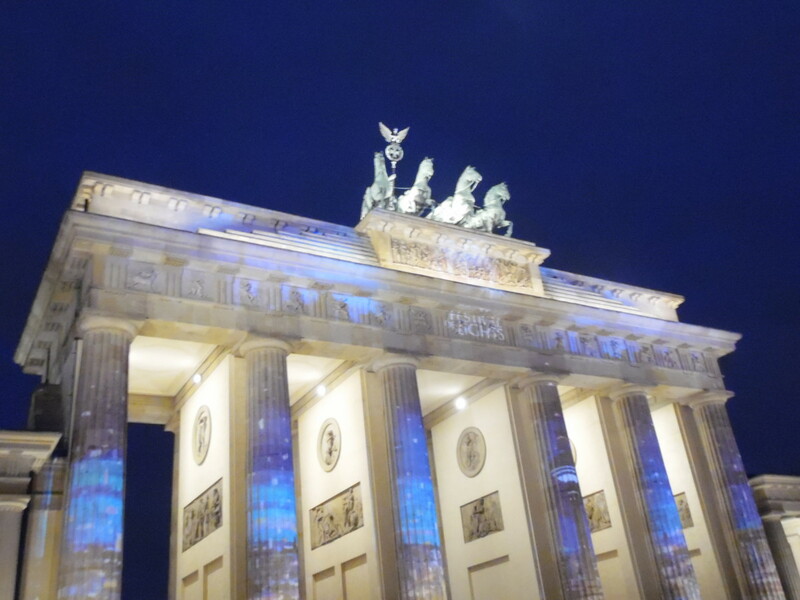 Here is Berlin 48-hour travel guide. If you are in the city for just two days, you'll still be able to see a lot and experience this great mixture of history and modern life. There is no doubt that Berlin is unique, but some tourists do find it a little bit similar to the capital of France. This impression starts at Potsdamer Platz, the business center of the city. This square, surrounded by skyscrapers and hi-tech architecture, reminds the ultramodern La Defense district in Paris. Its trademark is the Sony Center Complex, completed with iron "umbrella" - a giant metal cupola covering numerous offices, hotels, restaurants, as well as a cinema and a museum. Eberstrabe leads to the famous Brandenburg Gate. 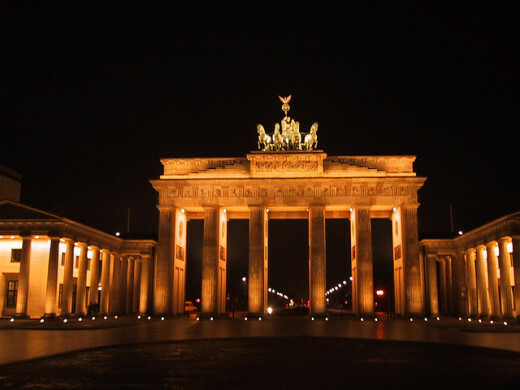 Built in 1791, it became the symbol of the reunion of the country after the fall of the Berlin Wall. Does this 20-meter high gate ring any bells? You are right - it resembles the Arc de Triomphe. 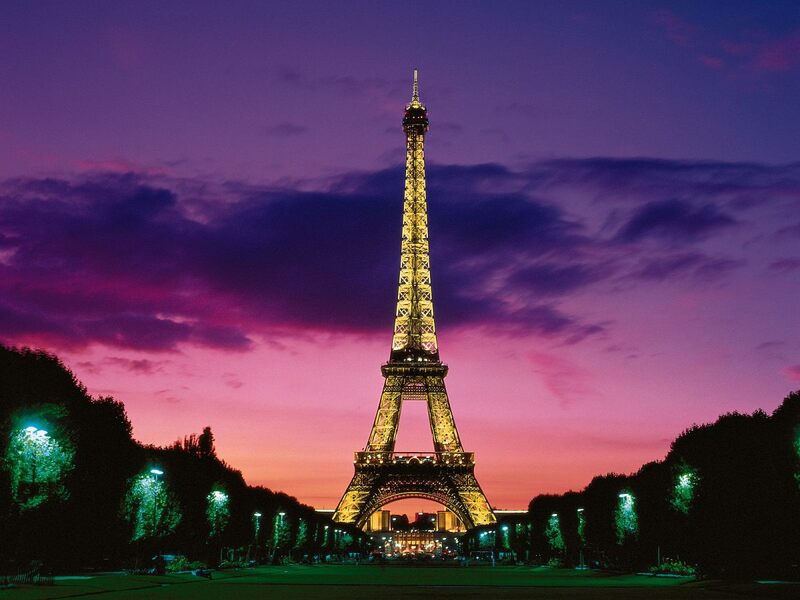 However, the Parisian monument was built in 1836, 45 years after the one in Berlin appeared. Just like in the French capital, the Gate leads to one of the most well-known city streets. As the Champs-Elysees of Berlin, the one-and-a-half kilometer long Unter den Linden Boulevard was named after the trees planted in 1647 to the order of Frederick William I, King of Prussia. 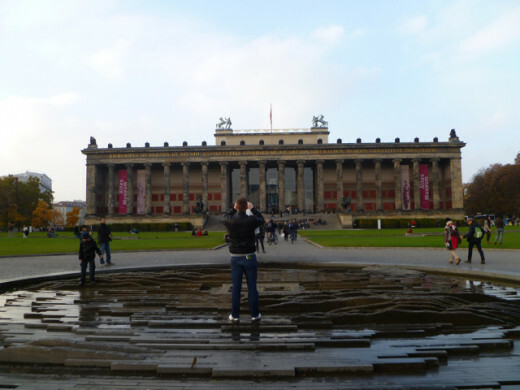 Both French and German streets lead to the main city museums: in Paris it's the Louvre, and in Berlin an entire Museum Quarter, situated on Spreeinsel Island. 11:30 am. Higher Than Angela Merkel. The Reichstag, where the German parliament sits, is situated near the Brandenburg Gate. In its 130-year history, the building suffered destruction several times. In 1995, on the roof of Reichstag, a modern glass dome was constructed. It was the creation of British architect Norman Foster, who had been entrusted to reconstruct the building. 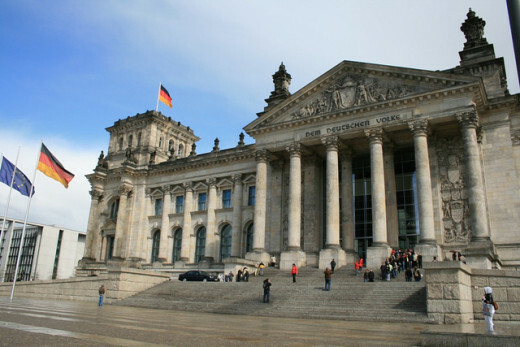 Since the striking modernization, the German parliament building has become one of the most visited landmarks in the world; in the last thirteen years, it has been visited by more than 13 million tourists. To add yourself to this list, make an appointment for a free tour on the Bundestag website. 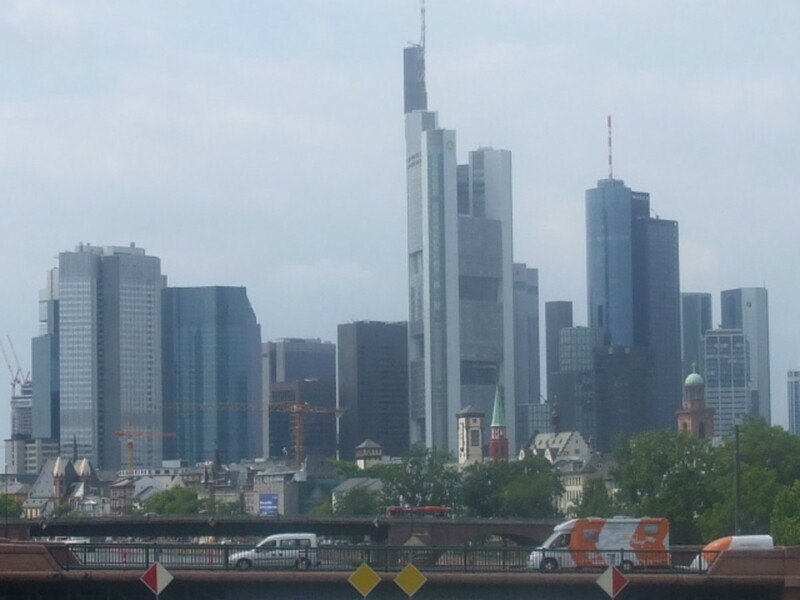 The top of the roof boasts a beautiful panorama of the Tiergaten and Potsdamer Platz, as well as one unpretentious white building that houses the personal office of the Federal Chancellor. It is from here, head of German government, Angela Merkel, has a fabulous view of the glass-domed Reichstag. if quality is what you value in food, you will definitely like Fischers Fritz restaurant. It's the only restaurant in Berlin to ever have been awarded two Michelin stars. Lunch comes to around 50 euros; and even the most selective gourmets will be satisfied. However, there are plenty of places where one can replenish the inner self; almost every restaurant offers great meat inner, along with a glass of beer. Art devotees will be more than glad to spend all day in the Museum Quarter, located to the north of Spreeinsel Island in the center of Berlin. In the Pergamon Museum, you can enjoy the collection of Islamic art from the 8-19 centuries, as well as ancient Greek and Roman exhibits. The Old National Gallery shows paintings and sculptures of the 19 century. In the Old Museum you can see ancient art, while the Bode Museum impresses with masterpieces of Italian and German sculpture. The most famous is the New Museum, which houses the famous bust of Queen Nefertiti, Despite its name, the museum is almost 200 years old, and in 1940s was severely damaged by the war. Bringing the design back from the ruins, British architect David Chipperfield replaced missing elements with modern materials. Such eclecticism now helps visitors experience time parallels and presence of the past and present. The Radisson Blu Hotel stands right next to the Museumsinsel. 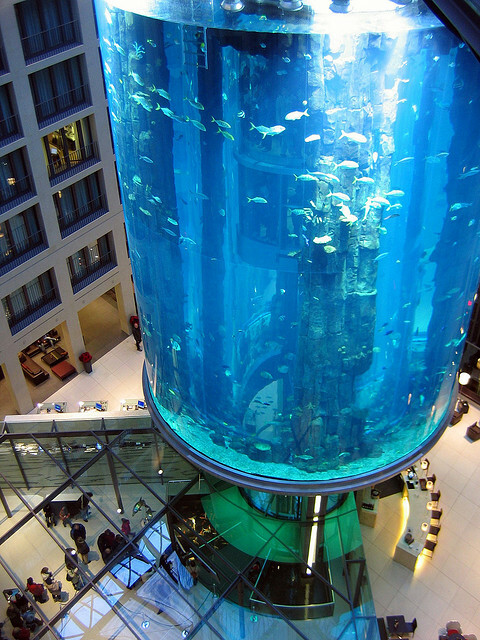 Even if you are not among its guests, you still should go there and see the world's largest cylindrical aquarium which occupies several floors. The grand Aquadrome, with its capacity of a million liters of water, is inhabited by about 2,600 species of fish. Rumor is that the giant tank of eleven meters in diameter costs its owners more than 12 million euros! A transparent elevator will take you through the center of the aquarium, up to the observation deck where you can admire aquatic inhabitants in all their glory. The German capital is rich in bridges. There are nearly 1,700 of them, even more than in Venice! 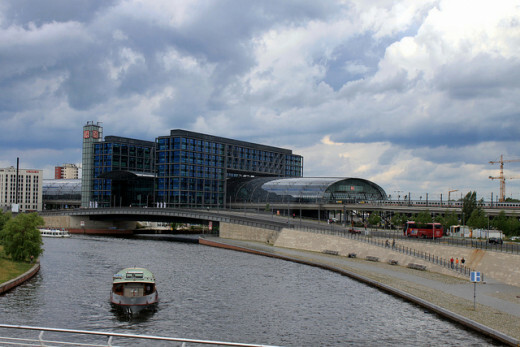 The main stem of Berlin, the Spree River, flows through the heart of the city and reveals a very different face of the capital. From March to October, the river is like a highway, as excursion boats run up and down. Strengthen your feel of the city further by going on a typical tour route, Berlin Cathedral - Reichstag - Palast der Republik - Museumsinsel. 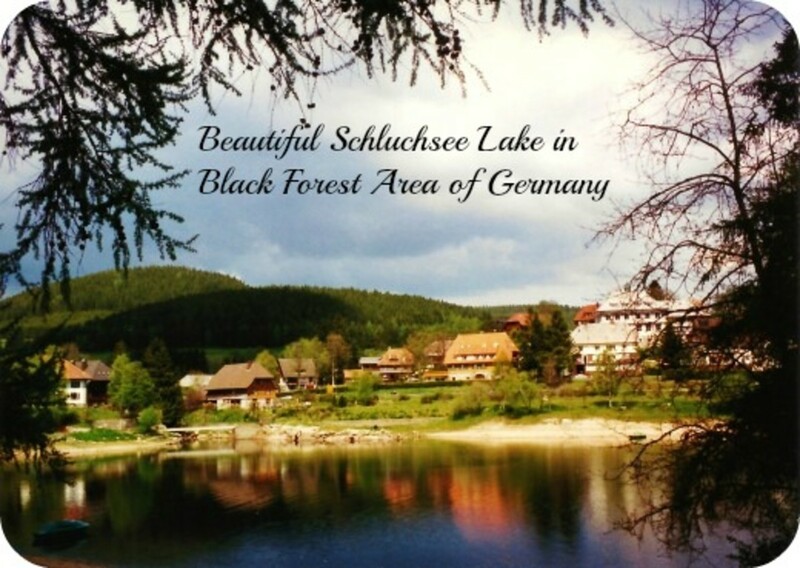 Besides interesting stories, a guide will provide you with a glass of local beer and a plate of German sausages. These treats are truly hard to refuse! 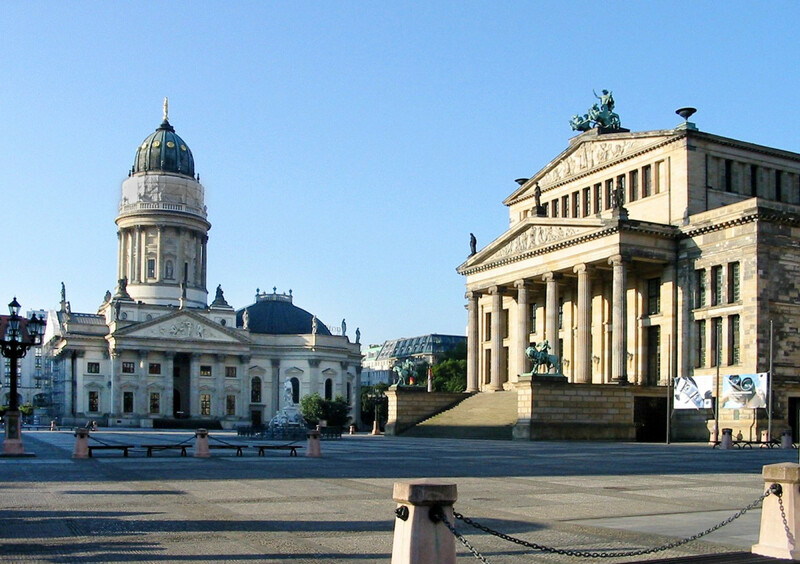 Berlin is famous for its wide selection of hotels (about 600), as well as for reasonable accommodation prices. 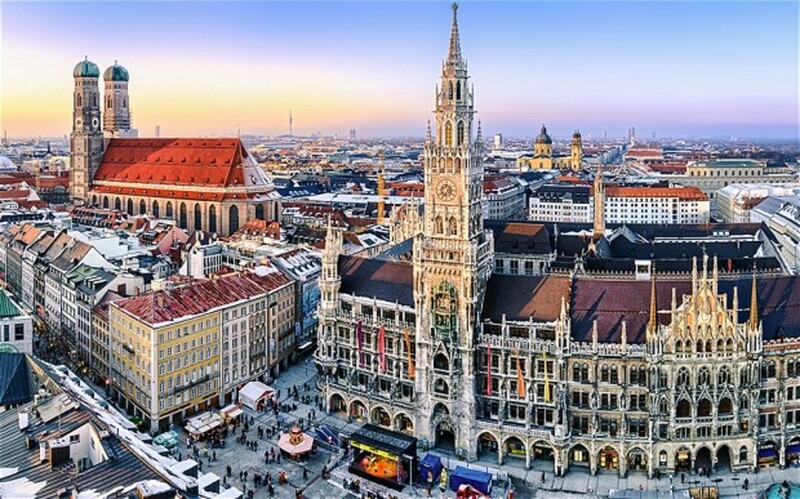 The central district of Mitte has the largest concentration of hostels and hotels, where you can book a room from only 15 euros. But if you are looking for a hotel, why not book a room in a piece of art? Every part of Propeller Island is a work of art. The idea of this creative property belongs to German artist Lars Stroschen, who called the complex by his own nickname. 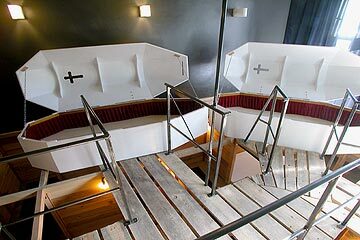 Only here you can find a room entirely decorated by mirrors, or a room with a bed suspended one and a half meters above the floor, or one which is upside down and has furniture attached to the ceiling, in one of the rooms you can even try sleeping in coffins. Due to the huge popularity of the hotel, you may have trouble with availability, so make sure you book early and specify your stylistic preference. If you are lucky, Propeller Island might become the strangest hotel you've ever stayed in. The rooms there average from 79 to 115 euros per night. 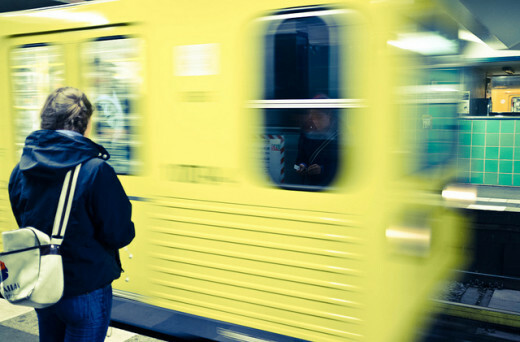 The subway is the most popular form of transport in Berlin; it is used daily by students, entrepreneurs and tourists alike. Built in 1902, the U-Bahn Berlin is the oldest subway in Germany. With an extensive grid of stations, it reaches every part of the city. Although it's easy to get lost among the 173 stations and 10 lines, Berlin's subway is certainly worth seeing. 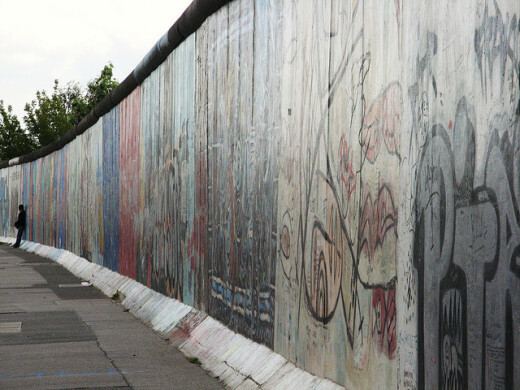 For more than 28 years, the Berlin Wall separated West Berlin from East. Nowadays, it is difficult to imagine that once, massive four-meter-high concrete slabs extended up in the air, stretching for 155 kilometers! After the fall of the Wall in 1989, it was dismantled and taken apart for souvenirs. Today, the scattered pieces of Berliner Mauer can be found all over the city and beyond. One of the best ways to explore this symbol of Cold War is to take a bicycle ride along the wall, which can be ordered from Berlin on Bike. For 19 euros, you will get a bike and four hours to cover the route along the landmark. As you go along the extensively reconstructed and modernized Friedrichstrasse, you'll come to a metal badge of a bunny on the ground. It was installed in place of a former checkpoint, because only rabbits could cross the border without penalty. Finally, you will see the longest extant piece of the wall, which stretches for nearly two miles. That's where the famous "brotherly kiss" of Brezhnev and Honecker is - it appeared on the wall in 1990, together with another 105 pictures from 11 artists of 21 countries. 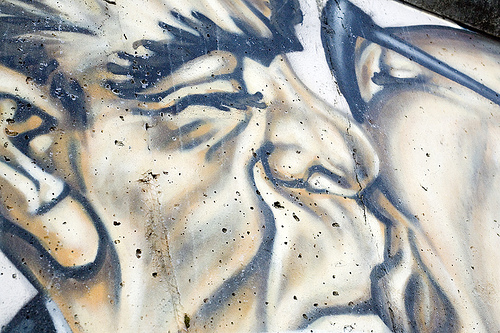 Thus, the so-called East Side Gallery has become the world's longest open-air art gallery. At the intersection of Friedrichstrasse and Mauershrasse, there is a small white box with bags protected by a military in uniform. 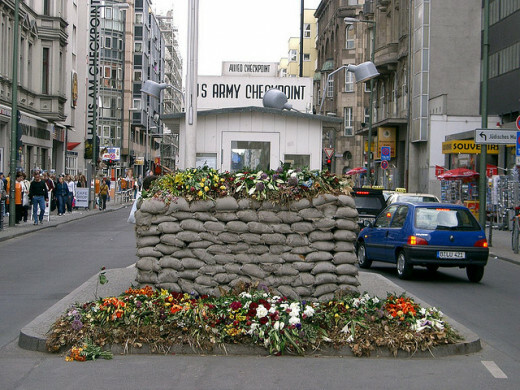 This is the famous Checkpoint Charlie, the most renowned crossing point between East and West Berlin, and the Eastern and Western worlds. It is worth visiting for the chance to touch history, or just to dine in one of the many cafes located in a spot it was impossible to be not so very long ago. For only 2 euros, the military guy will gladly pose for tourists' cameras. The first German Zoo was opened on August 1 1844. Today, it has over 1,500 species of wildlife, living on 34 acres of territory. Water ditches or subtle fences separate animals and visitors. Several years ago, a white bear named Knut was the star of the zoo. Today, a 34-year old panda Bao has taken his place. Also pay close attention to a touching hippo monument, established in honor of the only hippo to survive World War II in the zoo. The highest building of the capital. 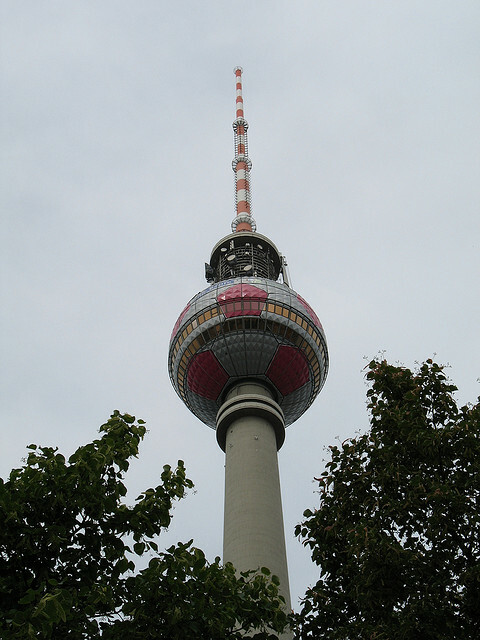 Berlin's TV Tower rises to 1207 feet not far from the largest city square, Alexanderplatz. At a height of 670 feet, there is an observation platform and a revolving restaurant, where you can dine as you watch Berlin revolve around you. By the way, the circular top of the tower is jokingly called Pope's revenge, because the sun's rays form the image of the cross on its surface. U.S. President Ronald Reagan mentioned this phenomenon in his famous Tear down this wall speech on June 12 1987. The Kreuzberg district, where Bohemia along with Turkish and mainly Balkan expatriates live, happens to be the truly alternative area of the capital. Before the fall of the Berlin Wall, it was the eastern outskirts of west Berlin, with its cheap housing where students coexisted with artists, radicals and immigrants. Even today, the district is effectively divided into two parts. 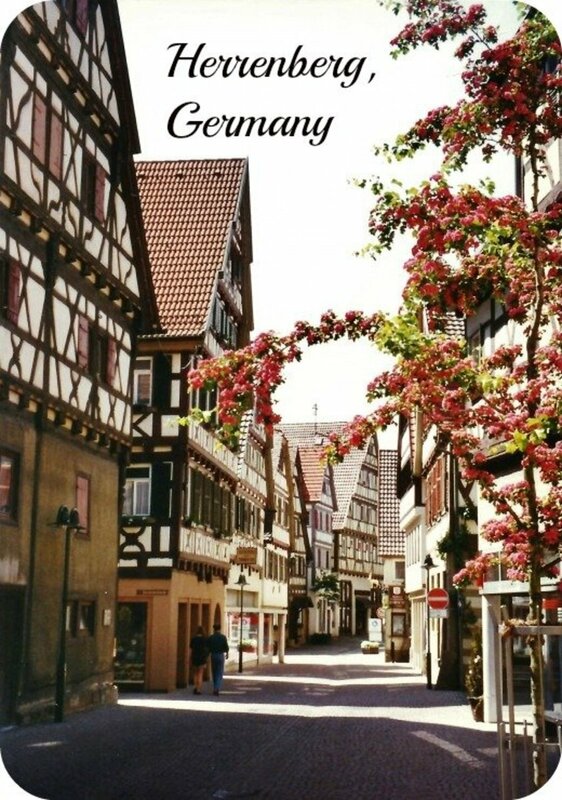 In the bourgeois west, with zip code 61, residents live the measured life of wealthy Germans. The eastern part is assigned code 36, where Turkish community is concentrated, and it is said that German is rarely spoken here. Kreuzberg has become a melting pot where about 180 cultures coexist, and which attracts tourists from all over the world. It's the place you can taste traditional kebabs, have hemp tea and just hang out with the locals. However, taking pictures of Kreuzberg nightlife is strictly prohibited. On May 1, you'd be best to keep away from there, as local festivities had been known to turn into police clashes, car burning and looting. The best time to visit Kreuzberg is during the annual Carnival of Cultures: you will have the chance to see how African and Turkish rhythms flow alongside each other, along with German beer. This is the true face of the most experimental district of kaleidoscopic Berlin.